Dr. Kaylor received his M.H. as a Master Herbalist through 5 certification programs, his C.N. through the Nine Institute for Nutritional Education Correspondence and his Ph.D. in Sociology of Change & Healing from University of Oregon in Eugene. Dr. Kaylor is a lifelong student of Healing as a “path” – a way of living. 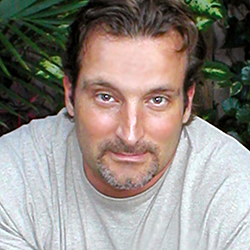 With a diverse background of study that led him from a more conventional education to exploring Traditional Medicine (including American Indian, Traditional Chinese Medicine and Shamanistic) and Holistic Healing, Mark has developed an Eclectic Approach to health and healing. His travels have led him from the Amazonian rain forest to the Cherokee reservation. Also consulting in the Natural Foods Industry as an educator and formulator, he is currently consulting with Maitake Products, Inc., originators of the Maitake D-fraction. Mark is co-author of the soon to be released book Syndrome X and SX Fraction and the forthcoming newsletter the “Healing Path.” The SX fraction is taken from the Maitake Mushrooms to help balance insulin and blood sugar imbalances. Mark currently works full-time for Mushroom Wisdom.